We had an early start today with everyone needing to be feed and ready for our walking tour which started at 10am. Tina, our guide, met us outside our apartment building and laid out where we’d walk for the day. Since we’re staying in central Zagreb it’s easy to get around on foot. And that is what we did. Tina (tinadunjic@gmail.com) started us at the Opera house and we proceed to visit the two hills that dominate the city. 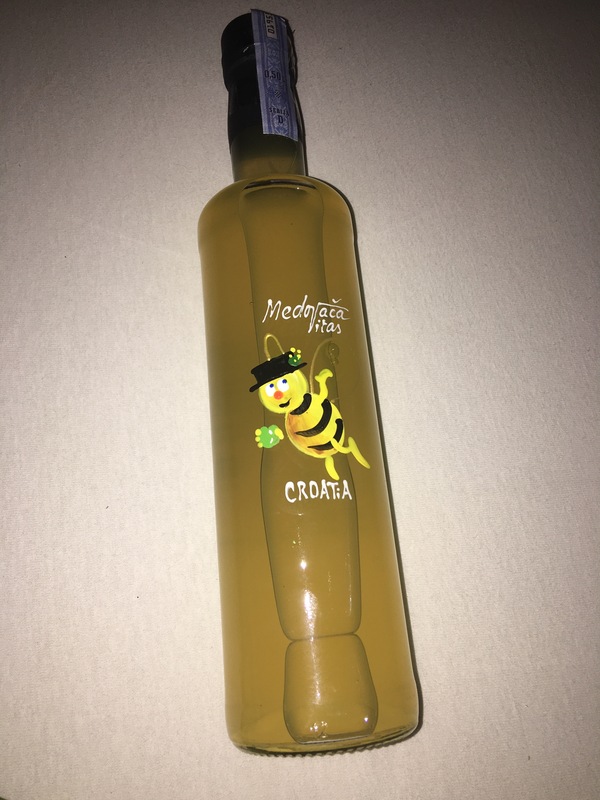 We learned about The Austria-Hungarian Empire’s grip on Croatia, Tito, art, and Yugoslavia along with delicacies like truffled chocolate, olive oil, and some sort of amazing honey liquor that reminds me a bit of grappe. 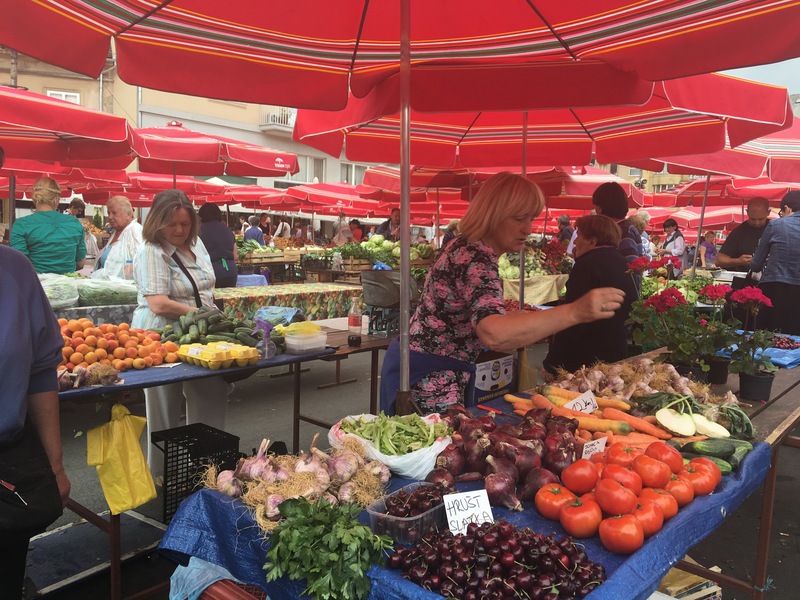 We visited a farmers market that happens daily until about 14:00, and bought tasty cherries. 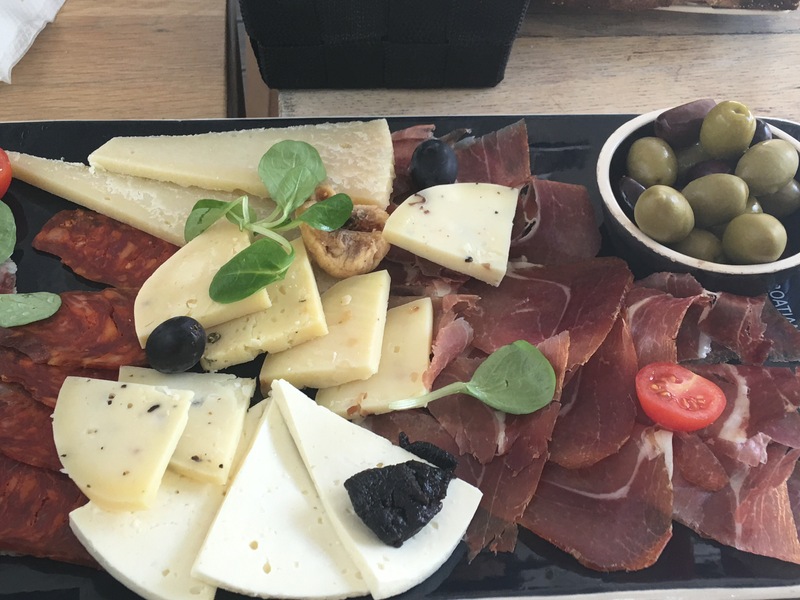 After our tour, we headed to a wine/cheese bar called…Cheese Bar (Augusta Cesarca street). Our selection of Croatian cheese, meat, and wine was delicious. 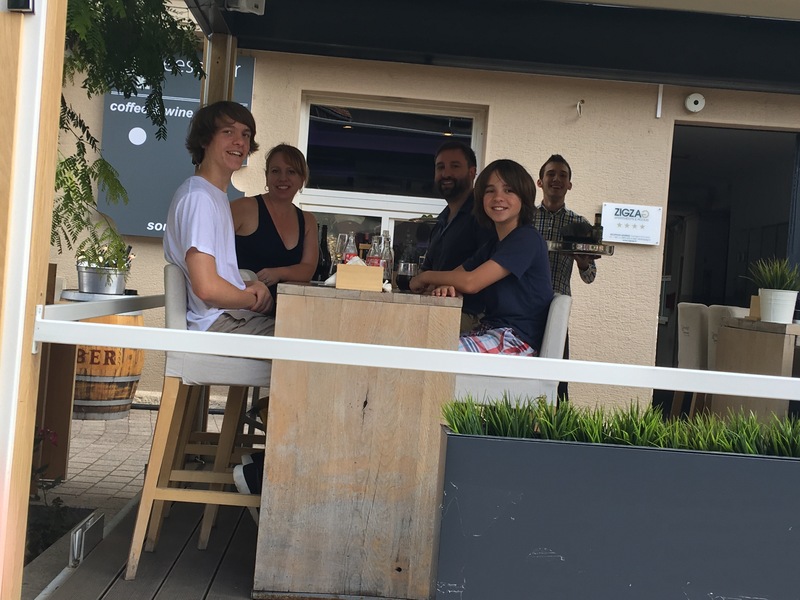 After gorging, we headed to Vinoteka Bornstein (Kaptol 19, HR-10000 Zagreb), a wine bar we learned about from a New York Times video on Zagreb. The owner, Ivan Srpek is a wonderful, knowledgable host. We opted for the taste of Zagreb and were treated to a sparkling wine, two whites, and a red. The wines Ivan gave us can hold their own against any New World wine. For the money, they’re a great deal and definitely worth exploring. Vinoteka Bornstein is located underground with an ancient wine cave feel. Just an FYI, it is under the building that hosts the Syrian Consulate. Don’t let that deter you. Finally, we wrapped up the day with a walk around the city center and a game of Go Fish back at the apartment. Tomorrow we head to Plitvice and its famous waterfalls. Going to try for even an earlier start in hopes of beating the crowds.